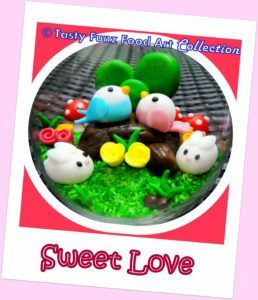 Bring out the artist in you and learn to work with fondant, creating your very own cute-looking 3D figurines, flowers and many more with our Edible Art (In a Glass) Workshop. And with an interesting, edible backdrop made up of varied food ingredients, these lovely fondant art pieces ‘come alive’ and are transformed into a glass of fascinating and intriguing masterpiece, which is also sweet and flavourful. Your tasty proud creation is sure to satisfy sweet tooths, ignite imaginations and amaze your family and friends.